Welcome to the official website of the Wildwood Warriors Triathlon Team! The Wildwood Warriors are a fun, energetic, and supportive group that is based out of Wildwood Lake in Riverhead, Long Island. From beginners who have never done a triathlon, to veteran Ironman triathletes, our members have the resources they need to reach their goals. 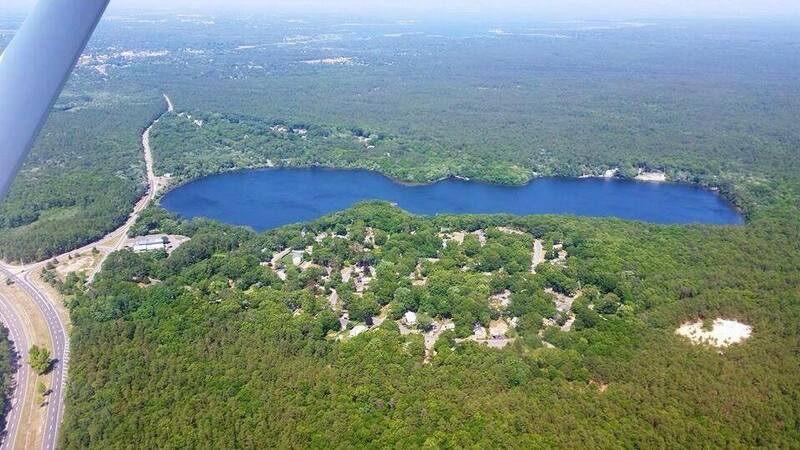 Just 3 short years ago, Jason Cohen and I sought out others just to have someone to swim with at the lake. Born from that was the Wildwood Warriors and with your help it is now even more than we ever envisioned it would be. There are so many people to thank for helping this team grow. While it has been organic, our dedication and hard work have been based on a very solid vision to build the best triathlon team that we can all be proud to be a part of. I put together a Think Tank where all members worked diligently to provide the team with amazing growth. We unanimously decided that this team is ready for the next big phase of growth: Incorporating. Not just a corporation where I could have possibly made this into a business for myself, but an organization run by the team, for the team. A 501c-7 organization. Why a 501c-7 organization? I had a vision to give back to the community. In three years, we have given away over $15,000 in charitable donations and we only want to do more. A 501c-7 gives us a platform as a social group to enjoy the benefits of a fun organization and not have to deal with tax burdens and primarily to be benevolent in many ways, at a larger scale. A 501c-7 needs to have an official Board of Directors. Jason & I met and asked the following warriors to sit on the first Board of Directors. We have formed this board and have already filed for our 501c-7 status and it is pending approval from the government. I am very proud of this board, and I ask that you all welcome them as members serving your best interests in this team going forward. What is a 501c-7 non profit? We can now pursue many options to further our purpose and mission. The charity efforts behind being a non-profit have the potential of being much more far reaching. We can build some of the programs we have been speaking about, like the Special Needs Youth Program. We can raise money, awareness, and really make an impact in the triathlon community here in Long Island and even beyond! It means, you can be proud to be part of a charitable team and not a money-making profit center for personal gain! 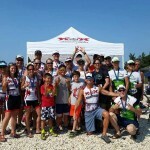 WWTC is proud to be one of the largest triathlon clubs on Long Island. Our goals are to provide our multi­sport athletes with education and training through coached programs and clinics in a supportive, inclusive and socially engaging team environment. We will not only prepare our members to compete regionally and nationally, but we will be recognized by some of the top athletes, organizers, sponsors, and others at these events. We will work diligently to give back to the community in impactful ways. We will move forward with our non-profit status pending as if it will be approved. The next thing to do is to “organize”. The board is taking very serious steps to do just that. Our website will be up soon. We are meeting, discussing, and strategizing some amazing new changes. We are communicating with professionals to build this in the most beautiful way. We will further our protection by participating in the proper insurance programs. And, most importantly, we will build the programs with the help from within the team, and from non-profit activities. There are five Board Members, but we welcome all warriors to be involved to help us succeed in our mission. We need to build a network of committees. Soon we will be asking for volunteers to chair and support one of our many committees. Stay tuned or reach out to one of our board members for more information. As you can see, there are many things we are looking to do, so all support is welcome, appreciated, and the fastest way to succeed in our growth.